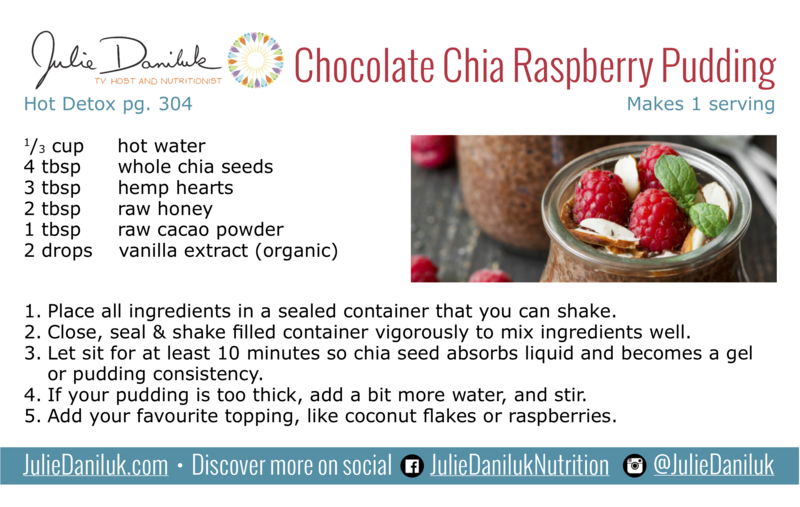 To make Chocolate Collagen Chia Pudding to really support hair and nail health, I've modified my delicious Chocolate Chia Raspberry Pudding. 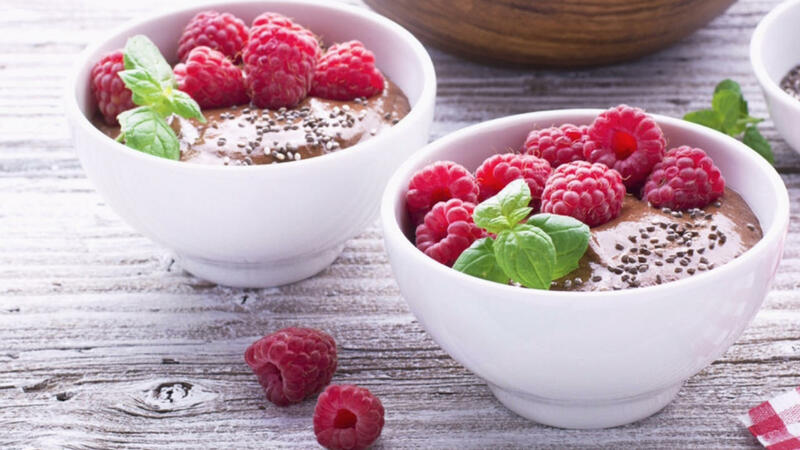 The featured ingredient in this pudding is hydrolyzed collagen powder. Your body contains a matrix of collagen that, around the age of 21, begins to break down. 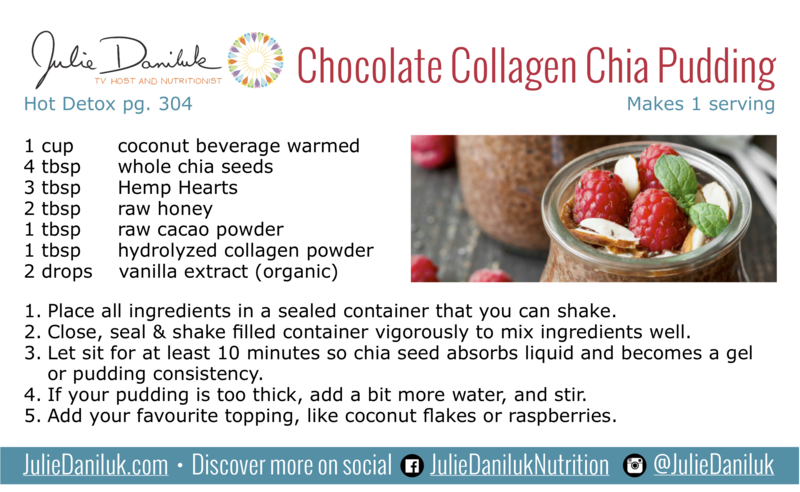 It's important to replenish your collagen stores to support the repair of your joints and bones, sooth your intestinal tract, help heal leaky gut (intestinal permeability) and reduce inflammation throughout your whole body.